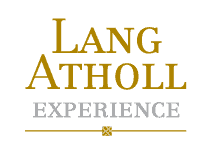 If you are looking for less outdoor adventure and more tranquillity and relaxation Lang Atholl will ensure that you find this in abundance. Throughout the many accommodation partners that we work with you will find some of the best spa hotels in the world. Whether you want and indulgent spa day or a complete spa break, there are numerous spa hotels in Scotland that will pamper you from head to toe and leave you feeling totally rejuvenated. From extensive traditional treatments to a menu of alternative treatment methods; Lang Atholl spa packages are constructed to suit your own particular tastes. Our spa partners stay up to date with the latest trends and techniques and reside amongst some of the finest scenery the world has to offer.